What are the Roth IRA IRS rules? And when can you make withdrawals? Addressing the IRS guidelines for all the Roth IRA rules is beyond the scope of this article, but we can cover the basics. And if you're like most investors, knowing the basics will answer most, if not all, of your questions. Commit to memory the rules as they relate to each of these topics, and you'll know 90% of what you'll ever need to know about your Roth IRA. Let's learn more about each topic. The Roth IRA IRS rules for eligibility require your account to meet certain criteria in order to meet the official definition of a Roth IRA. "An individual retirement account is a trust or custodial account set up in the United States for the exclusive benefit of you or your beneficiaries. The account is created by a written document." "The document must show that the account meets all of the following requirements. The trustee or custodian must be a bank, a federally insured credit union, a savings and loan association, or an entity approved by the IRS to act as trustee or custodian." Whatever you do, don't lay awake at night worried about meeting these requirements. While the legal language may sound somewhat intimidating, if you seek out a reputable financial institution or brokerage house and ask to set up a Roth IRA, all these requirements will more than likely be taken care of. Once you establish your Roth IRA with approved financial institution, you're ready to fund your account. But before you fund your account, the type of income you're earning must be in compliance with the Roth IRA IRS rules. You can fund your Roth IRA only with earned income or taxable "compensation." And you must file an income tax return and claim your income. "Compensation includes wages, salaries, tips, professional fees, bonuses, and other amounts received for providing personal services. It also includes commissions, self-employment income, nontaxable combat pay, military differential pay, and taxable alimony and separate maintenance payments." Under the Roth IRA IRS rules, other forms of income are NOT eligibility for Roth IRA contributions. These types of income mostly fall into the passive category of income, such as rental income, dividends, interest, royalties from a oil well, social security benefits, pension income, or unemployment benefits. The Roth IRA IRS rules place limits on the amount of income you can earn and still remain eligible to make Roth IRA contributions. "For 2011, your Roth IRA contribution limit is reduced (phased out) in the following situations. 1) Your filing status is married filing jointly or qualifying widow(er) and your modified AGI is at least $169,000. You cannot make a Roth IRA contribution if your modified AGI is $179,000 or more. 2) Your filing status is single, head of household, or married filing separately and you did not live with your spouse at any time in 2010 and your modified AGI is at least $107,000. You cannot make a Roth IRA contribution if your modified AGI is $122,000 or more. 3) Your filing status is married filing separately, you lived with your spouse at any time during the year, and your modified AGI is more than -0-. You cannot make a Roth IRA contribution if your modified AGI is $10,000 or more." Under the rules, if you earn at or below the low bar threshold for your tax filing status, you can make the maximum Roth IRA contribution. If you earn more than the high bar threshold for your tax filing status, you can not contribute a single dollar to your Roth IRA. And if you earn somewhere in between, your maximum contribution limit is determined by the Roth IRA phase out rules. Once you establish your eligibility to make the maximum annual contribution under the Roth IRA IRS rules, you need to know how much the maximum contribution is. However, if your modified AGI is above a certain amount, your contribution limit may be reduced." As a general rule, you can contribute a maximum $5,000 per year to your Roth IRA if you're under 50 years of age, while you can contribute an extra $1,000 (a total of $6,000) per year if you're 50 years old or older. However, to contribute a maximum of $5,000, you must first earn at least $5,000 - you can't contribute more than you earn. But remember that this maximum contribution limit applies both your Roth IRA and any other IRAs you may have. For example, if your maximum annual contribution limit is $5,000, you can contribute $2,500 to your Roth IRA and $2,500 to your Traditional IRA. But you can NOT contribute $5,000 to your Roth IRA and $5,000 to your Traditional IRA. Under no circumstances can the combined total exceed $5,000. When you decide to withdraw funds from your Roth IRA, the Roth IRA IRS rules determine the order in which you must distribute your money. The first funds you must remove when making a Roth IRA withdrawal are your original contributions. Fortunately, withdrawing Roth IRA principal is always a tax-free, penalty-free event regardless of your age or other circumstances. Because you've already paid income taxes on your original principal contributions, and all you're doing is simply taking those funds out. However, withdrawing conversion contributions, rollover contributions, and/or earnings on any of your contributions is a different story. Such withdrawals, unless deemed "qualified," are subject to income taxes and/or a 10% early withdrawal penalty. "A qualified distribution is any payment or distribution from your Roth IRA that meets the following requirements. In order to withdraw conversion funds, rollover funds, and/or investment gains tax-free and penalty-free, you must first meet the requirements of the Roth IRA 5 year rule and reach age 59 ½. Of course, there are certain early withdrawal exceptions to the age 59 ½ requirement, such disability, death, or the purchase of a first home. Under the Roth IRA IRS rules, you have three methods for converting a Traditional IRA or 401k to a Roth IRA. "You can convert amounts from a traditional IRA to a Roth IRA in any of the following three ways. Same trustee transfer. If the trustee of the traditional IRA also maintains the Roth IRA, you can direct the trustee to transfer an amount from the traditional IRA to the Roth IRA." If you perform a rollover, make sure you contribute the distribution receive to your Roth IRA within the 60 day calendar window. Otherwise, you will forever lose the opportunity to roll those funds into your Roth IRA. Worse yet, not only will you owe income taxes on the full amount of the distribution, but you'll owe a 10% early withdrawal penalty as well. So make sure you transfer those funds within the 60 day window! The best way to make sure you don't miss the 60 day rollover window? Perform a trustee-to-trustee transfer or a same trustee transfer. In either case, you don't directly receive a dime of money, since it goes directly from account to another. But regardless of your conversion method, rollover distributions from your Traditional IRA or 401k are subject to income taxes. 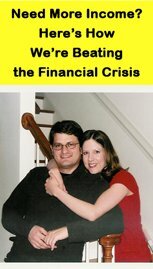 "You must include in your gross income distributions from a traditional IRA that you would have had to include in income if you had not converted them into a Roth IRA. These amounts are normally included in income on your return for the year that you converted them from a traditional IRA to a Roth IRA." Rollover distributions are treated just like earned income when you file your taxes. As a result, you owe income taxes at the applicable rate on any amounts you rollover (with the exception of originally non-deductible contributions). For example, let's you earn $40,000 per year, and you're in the 25% income tax bracket. During the course of the year, you perform a $20,000 Roth IRA rollover from your Traditional IRA. Since the $20,000 rollover distribution is treated as taxable income, you owe $5,000 ($20,000 * 25%) in income taxes on your rollover distribution. The Roth IRA IRS rules addressed in this article offer a consolidated overview of the rules governing your Roth IRA. However, if you still have questions about a topic not addressed here, please use the search box in the upper lefthand corner of this site. 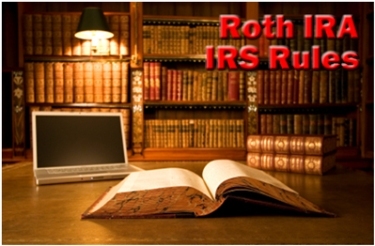 These are the most important, and most commonly applicable, IRS rules regarding Roth IRAs. Learn these basics, and you'll know just about everything you need to know to have a successful Roth IRA experience.